The topic of spiritual dryness is not a foreign concept in scripture. David, in particular, was dry on a seemingly regular basis. But then, Jesus talks about living water in the New Testament and from that we form this idea that if we’re Christians and we’ve tapped into this wellspring of everlasting, living water we’ll never feel dry or parched. This theory only holds up until it doesn’t and we find ourselves desperately thirsty and wondering what’s wrong with us. One of the deepest joys of my life is getting to minister to pastoral families across the country, especially their wives. It’s the pastoral ladies that I completely resonate with. Theirs is a struggle I know with every fiber of my being. Holding their arms up while they serve alongside their husbands has become one of my greatest passions. There are times, however, when the understanding and relatability alone aren’t enough. Sometimes these seem terse and more irritating than healing. There are times when a smile and a knowing nod that communicate “this too shall pass” are all that’s needed but often a truth much deeper than experience could ever go is required. These truths can’t come from the conventional wisdom of humanity. The only place to find them is in scripture. 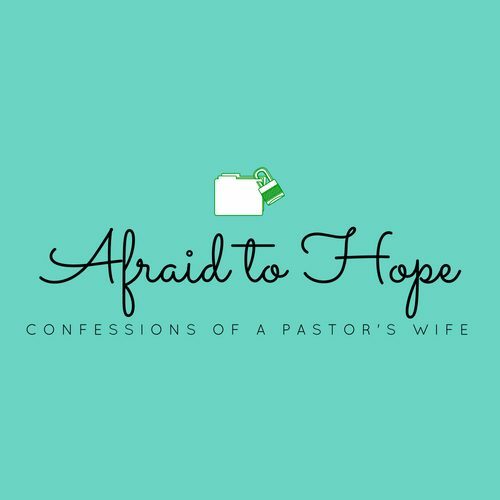 This week a pastor’s wife that is very near and dear to me reached out in distress. She’s in the middle of a dry spell and in those spells come all kinds of frustrations but one of the most common to us is that of intense loneliness that brings with it great anxiety. On this woman’s shoulders rest the burdens of many unique individuals but she’s finding it hard to locate anyone to bear hers. She asked me why she feels so dry and if there is living water flowing through her why is she so spiritually dehydrated? I know what she’s talking about. It’s the kind that leaves her tongue stuck to the roof of her mouth every time prayer is attempted. The kind that causes each word of scripture to fall heavy and yet incomprehensible onto her dry bones that are already laden with so much. This is something I know all too well. The common theme that (pardon the pun) flows through these passages is one that is equating water to eternal life and life as an inheritance that is already sealed inside of us through the Holy Spirit but not yet acquired. The Spirit is the wellspring within us leading us to eternal life. Do we still get dry though we have received this living water? Absolutely! We have this wellspring but we still get dry yet it’s not a fatal dehydration. David talks about his dryness in a parched land. His surroundings are bringing about a spiritual dehydration. We all understand the physical response our body has to specific environments. If we are in a desert land our bodies will grow weak with thirst if water is not found. We respond to the conditions of the land with preparedness. If we know we’re going into the desert, we take ample amounts of water. The same is true of spiritual thirst. When we find ourselves in a place that is a spiritual desert with a scorching sun that dries up our bones, we respond with preparedness. We find others we trust to be our spiritual Sherpa to help us navigate tough spiritual terrain. This is when the experience of others is invaluable. They’ve been there before and they know the lay of the land. We give ourselves what will best feed our thirst. A dehydrated person doesn’t drink tea or coffee as those flush the system. We drink fluids that are rich in revitalization properties. The same is true of our spiritual diet. Take small sips of digestible scripture. We trust in God’s promise that when we cannot find the words to pray, the living water within us will speak on our behalf (Romans 8:26-27). We rest in the fact that it is ok to be dry and weary and to heal under his protective wings. We give ourselves grace to fall on him when we cannot stand. We recognize that we are sealed by the Spirit for the day of salvation. Spiritual dryness should not equal doubt in our salvation or spiritual inheritance. These things play out practically in the way we live daily. There are things we can each dump overboard to lighten our load. For each one of us, those weights are different but each of us has things we need to lay down in times of spiritual dehydration as God restores our soul. As a pastor’s wife, it’s ok to not be ok! It’s good and right to seek out restoration. God didn’t call you to be perfect. He didn’t call you to be strong all the time. He called you to follow him. Sometimes that means you fight like you’ve never fought before. Sometimes that means you lie down in green pastures as he restores your soul from the battle. Sometimes you’re in the valley of the shadow of death, but he’s got you. Never once did he ask you to be a trophy wife or a model of perfection. He simply said, “follow me” and so you do!